Terpenes are the delicate molecules responsible for the sometimes pungent aroma of weed. Read on to understand how they work. The genetic makeup of an individual cannabis plant — technically both an herb and a vegetable — can feature up to 200 different terpenes. Terpenes are the delicate molecules responsible for the sometimes pungent aroma of weed. All the rage in the burgeoning legal cannabis and hemp industries, terpenes offer much more than merely an enticing tickle of the olfactory sense: They’re the source of significant medicinal efficacy. 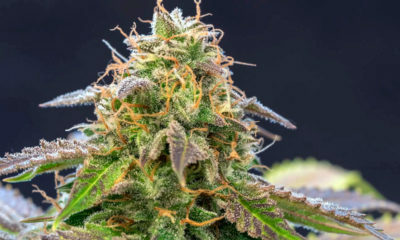 Collectively, terpenes offer three major types of efficacy for cannabis consumers and patients, including pain relief (helpful for patients with spasticity and joint pain), a reduction of systemic inflammation (valuable for those with conditions like arthritis, chronic fatigue syndrome, and fibromyalgia), and anti-cancer properties (especially for those undergoing traditional therapies, such as radiation and chemotherapy). Most research regarding medical cannabis has revolved around cannabinoids, the cousins of terpenes that include cannabidiol (CBD) and the infamous psychoactive molecule that produces euphoria, tetrahydrocannabinol (THC). From an evolutionary perspective, terpenes have for millenia served the cannabis plant as protection from pests and predators. For modern lifestyle consumers of this trendy herb, these special molecules offer indulgence into the connoisseur side of cannabis (similar to wine culture). Unlike the infamous cannabinoid THC, terpenes deliver no psychoactive effect. 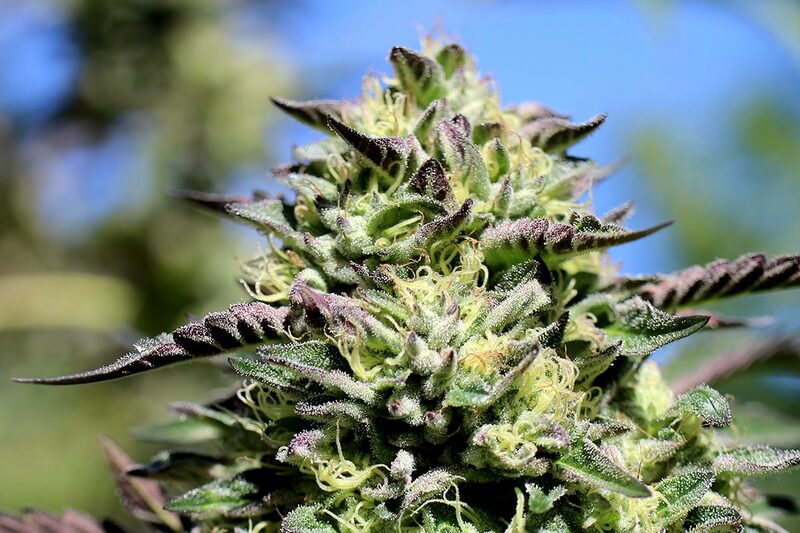 They do, however, play a critical role in the poorly named entourage effect, a theory of how terpenes and cannabinoids commingle to enhance medical efficacy in humans and mammals. It is theorized that some terpenes play a role in amplifying or buffering the effects of cannabinoids like THC. One example is myrcene, the most common terpene in cannabis and one that increases the euphoric effects of THC while also delivering a sedative effect. Many specific terpenes, such as myrcene and pinene, manifest as two similar variants in terms of their molecular structure and medicinal efficacy: Alpha and beta (i.e. α-pinene and β-myrcene). While the alpha and beta types are extremely similar, it should be noted that they feature slightly different bioavailability and efficacy. Beta-caryophyllene (BCP) conveys a scent of black pepper, peppers, spice, and wood. It is unique in that it can be categorized as both a terpene and a cannabinoid. Like other molecules that target CB2 receptors of the human endocannabinoid system, this terpene is effective in the treatment of anxiety and depression. Because BPC features no binding affinity with CB1 receptors, it results in no psychoactive effect like that associated with THC. BCP is produced by many plants other than cannabis, including black pepper, hops, and rosemary. Cannabis strains rich in BCP include Bubba Kush, DJ Short Blueberry, Girl Scout Cookies, Hash Plant, OG Kush, Pineapple Express, Super Sour Diesel, and Trainwreck. This particular terpene is present in nearly all strains of the cannabis plant and is typically the most potent (as measured by volume). Also known as β-myrcene, it produces an earthy, musky scent—sometimes accompanied by fruity undertones of clove. Also found in hops, parsley, and wild thyme, myrcene’s major efficacy is a sedative effect (similar to linalool, another major terpene that characterizes indica strains and cultivars). Myrcene stands out from other terpenes because its volume determines whether a particular example of cannabis is categorized as sativa or indica. Samples containing more than 0.5% myrcene feature a more sedative efficacy and are categorized as indica, while those comprised of less than 0.5% myrcene exhibit lower sedative effects, giving them the energizing and uplifting effect that is typically attributed to a sativa. Another terpene that, like myrcene, determines if a particular strain or cultivar of cannabis exhibits an indica or sativa effect; in this case, the presence of limonene indicates an uplifting sativa. As hinted by its name, limonene is also found in citrus fruits (in the rinds) and is the second most common terpene in cannabis. 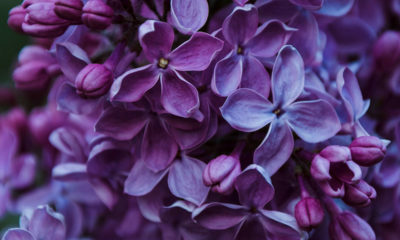 It is unique in that it aids in the absorption of other terpenes through the skin and mucous membranes. Limonene is also good for those suffering anxiety or depression due to its calming and relaxing effect. Limonene-rich strains include Durban Poison, Lemon Kush, Lemon Thai, Jack Herer, Jack the Ripper, OG Kush, Sour Diesel, Super Lemon Haze, and Super Silver Haze. Such strains deliver efficacy for those suffering from anxiety, depression, gallstones, heartburn, and even acid reflux. This terpene is an anticonvulsant, has been shown to destroy breast cancer cells in laboratory experiments, and is a powerful antimicrobial. This major terpene features a floral scent similar to spice combined with spring flowers. Like myrcene, it possesses sedative properties of value to those who suffer stress-induced anxiety (100 million Americans are reported to suffer under the burden of social anxiety). 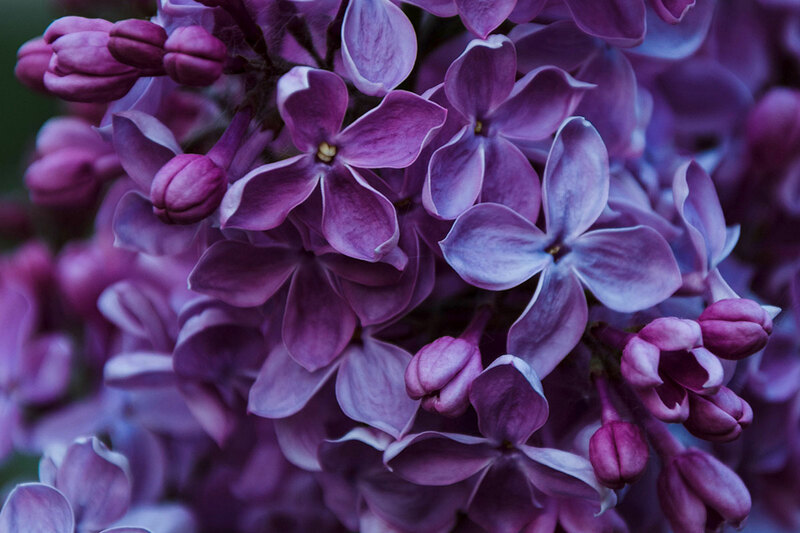 From an efficacy perspective, linalool also serves as an analgesic and anti-epileptic, making it valuable for those with conditions such as neuropathy, postoperative pain, Dravet Syndrome, and epilepsy. This terpene is frequently incorporated into perfumes and colognes due to its appealing aroma. In terms of efficacy, this major terpene possess antifungal, antiseptic, decongestant, and antibacterial properties. Ocimene-rich cannabis strains include Chernobyl, Elwyn, Golden Goat, Lemon Sour Diesel, OG Kush, Space Queen, and Strawberry Cough. The α-pinene variant of this terpene conveys an odor of pine trees and turpentine. Pinene is one of the most common terpenes. For patients, this molecule delivers a systemic anti-inflammatory effect while simultaneously acting as a bronchodilator for those consuming it via inhalation (vaporization or smoking). Pinene, the most common terpene in the plant kingdom, is also found in basil, orange peel, parsley, pine, and rosemary. This terpene offers aromas composed of floral, herbal, and piney scents. If present in sufficient quantities, it delivers a relaxing effect for many consumers. Like other terpenes and cannabinoids, terpineol offers significant medicinal efficacy for patients and lifestyle users, including acting as an antibacterial, anti-cancer, anti-fungal, antioxidant, and sedative. Like most terpenes, terpineol is found in plants other than cannabis, including apples, conifers, cumin, lilacs, and even nutmeg. It is most common in cannabis strains such as Agent Orange, Dutch Treat, and Ghost Train. This terpene is responsible for many of the floral aromatic aspects to the multitude of strains based on the Jack Herer cannabis variety. Terpinolene has been shown to exhibit antioxidant and anti-cancer effects in rat brain cells. Studies involving mice demonstrate that terpinolene delivers a sedative effect when inhaled. Aaron Palmer and Graham Jennings, founders of Oleum Extracts in Washington State, talk about Wizard Stones, their THCA isolate product. Heat, pressure, and time. The three components required to form a diamond from carbon. But what about diamonds made from cannabis? The founders of Oleum Extracts, Aaron Palmer and Graham Jennings both agree that a good diamond product ultimately comes down to the flavor provided by its terpene fraction. Diamonds is a slang term for the crystal formations of the cannabinoid THCA. 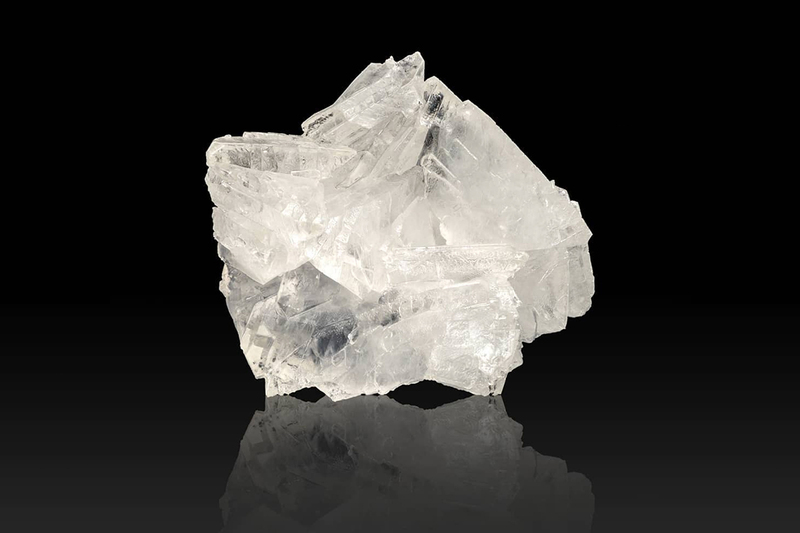 The molecule’s lattice structure builds upon itself naturally as individual molecules clump together creating the faceted formations that resemble diamond or quartz. When most people talk about cannabis diamonds, they’re talking about THCA structures that form in their own terpene sauce. So, it’s a little different technique than other isolation methods. Oleum —While their chemical composition is the same, the process to make them is slightly different than the traditional diamonds mined from a raw extract. Instead, they use a specially formulated solvent mix to create a solution with a composition that encourages crystallization. Due to Washington state’s regulations, Oleum is limited in the chemical solvents they can use. So that blend is the crucial variable to isolating THCA into their Wizard Stones product. Growing cannabis diamonds within their original terpene fraction comes down to creating an environment with the right amounts of pressure and heat to encourage crystal growth. Within the raw extract, the terpene and cannabinoid compounds are homogenized together, but as they settle and separate the mixture “crashes” — which is the start of crystallization. There are a few ways extractors seed a solution to start diamond growth, but Oleum prefers to use freezing temperatures to solidify and then thaw their extract, helping to create small groupings of THCA for other molecules to stack off. Another common seeding technique is to drop a previously grown crystal into the extracted mixture of cannabis compounds, giving the THCA something to grow off of. 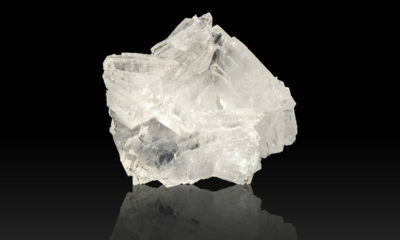 This technique is especially useful when filming a time-lapse of the crystal growth because it gives the camera a focal point knowing where the formation will grow from. The above timelapse video wasphotographed over a four day period by Dankshire. 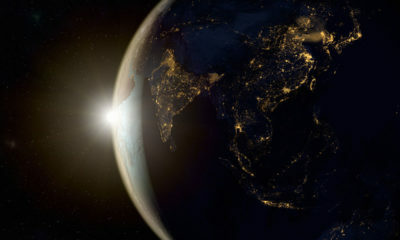 We can see diamonds begin to form almost immediately. However, the crystallization process can take a month if not longer to complete once a raw extract is jarred and waiting to crash. Oleum utilizes custom-built isolation vessels for their production diamond runs but admits that the jar tech allows more visibility into the process. Each batch can present a different ratio of diamonds to sauce and it seems like everyone wants a little different combination. “We just give ‘em what it makes,” Jennings said. 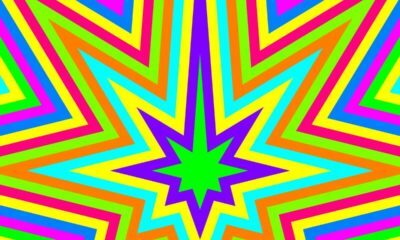 That’s the beauty of isolated products like cannabis diamonds and sauce; you can mix your own cocktail of cannabis compounds and really dial in the flavors and feelings that you’re after. Cannabis diamonds grown in their own sauce create a potent, refined, and pronounce expression of the strain they are extracted from. Terpinolene (sometimes denoted as “TPO”) is considered a minor, or secondary, terpene and features an aroma resembling sweet pine. Few cannabis consumers are fully aware of the complex molecular chemistry of the herb they vaporize, smoke, or eat. Terpenes like terpinolene are the aromatic molecules responsible for the sometimes revealingly pungent aroma of many strains of cannabis. Although the chief purpose of this family of chemicals is an evolutionary defense mechanism against pests and predators, terpenes have been found to deliver medicinal efficacy that equals that of cannabinoids such as CBD and THC. More than 20,000 terpenes exist throughout nature, about 200 of which have been identified in various strains of cannabis. Terpinolene (sometimes denoted as “TPO”) is considered a minor, or secondary, terpene and features an aroma resembling sweet pine. It delivers a taste reminiscent of citrus and is produced in many plants in nature other than cannabis, including allspice, cumin, junipers, parsnip, rosemary, sage, and tea tree. In terms of medicinal efficacy, terpinolene kills cancer cells and acts as a sedative. In addition, it displays antibacterial properties and is both an anti-fungal and an anti-oxidant. It is employed as a flavoring agent by various segments of the food industry. It is also used to manufacture plastics and resins and is an effective repellent against pests such as mosquitoes and weevils. A 2013 study entitled “Anticancer and Antioxidant Properties of Terpinolene” that was published in the journal Arh Hig Rada Toksikol found terpinolene to be a “potent antiproliferative agent for brain tumour cells” and surmised that this powerfully medicinal terpene “may have potential as an anticancer agent,” an issue in obvious need of further research due to the 91 million people worldwide who suffer more than 100 types of cancers. A 2012 study entitled “Terpinolene, a Component of Herbal Sage, Downregulates AKT1 Expression in K562 Cells” and published in the journal Oncology Letters found the terpene terpinolene to be an effective agent in the battle against a variety of cancers. Cannabis DNA tests provide an access point for preventative precision cannabis medicine, customized as a function of the consumer’s genetic predispositions. 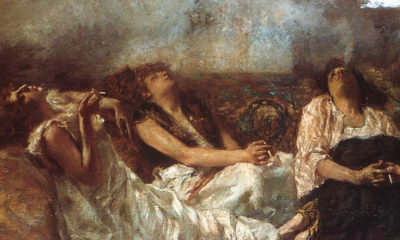 There is a high probability that the following scene has played out at least once in your life: after passing a joint around a smoke circle, one person can’t stop laughing at the painting they insist is moving, another is proclaiming the profundities of Kenrick Lamar’s lyricism, and yet another is “resting their eyes”. While humorous to observe the panoply of personalities, this setting provides an important observation. The cannabinoids and terpenes found in different cannabis products interact with everyone’s internal biochemistry differently. Naturally, aspects of your lifestyle like how much exercise you’ve been getting, your sleep patterns, and diet all play a role in how you’ll respond to a cannabis product on any given day. However, the most critical factor is the makeup of your endocannabinoid system — the chemicals and neurons in your brain and body that respond to cannabinoids. Your DNA holds the specific instructions for how your endocannabinoid system gets “wired up” compared to other people, permitting for individual differences in reactions to cannabis. DNA (deoxyribonucleic acid) is a long molecule that contains the instructions for building every single part of an organism. DNA is made up of four compounds that pair up: (A) Adenine, (T) Thymine, (C) Cytosine, and (G) Guanine. 99.5% of the base pair combinations that make up humans are identical from person to person. The .5% difference is what makes you unique. Variants are the genetic differences that make up that .5%. You may be familiar with the term “gene”, which is simply a section of DNA that carries the codes for making and organizing specific molecules that eventually serve as the building blocks for different parts and functions of an organism. Variants at specific genes have been identified as the determinants for thousands of different traits, from whether you’ll have blue or green eyes to whether or not you’ll have muscular dystrophy. As new research is conducted on cannabis and the body, more genetic links that can predict your response to cannabis are beginning to surface. With genes holding the instructions for the creation of enzymes and proteins that go on to make up all the constituents of your brain and body, it is a small leap of understanding to see how variants at specific genes can affect your endocannabinoid system and, subsequently, your experience with cannabis. An extreme example of this is Clinical Endocannabinoid Deficiency (CECD) — a genetic condition where the carrier’s body produces significantly less endogenous cannabinoids and receptors as compared to a healthy person. 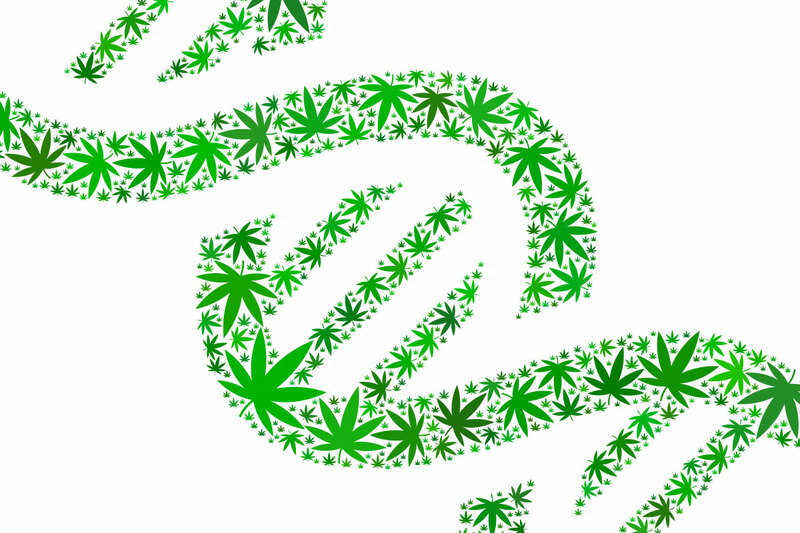 CECD presents an obvious linkage between DNA and cannabis use: if you carry a gene for CECD, you will require substantially more cannabis in order to achieve the same effects as someone without that gene. Other genetic links that predict your response to cannabis can be a bit more insidious. Take the genes CYP2C9 and CYP2C19 for example; they code for an enzyme that breaks down THC and CDD respectively. Variants on these genes can make the enzymes they create up to 30% less effective. This means that consumers with those variants would be less effective in breaking down THC and CBD. 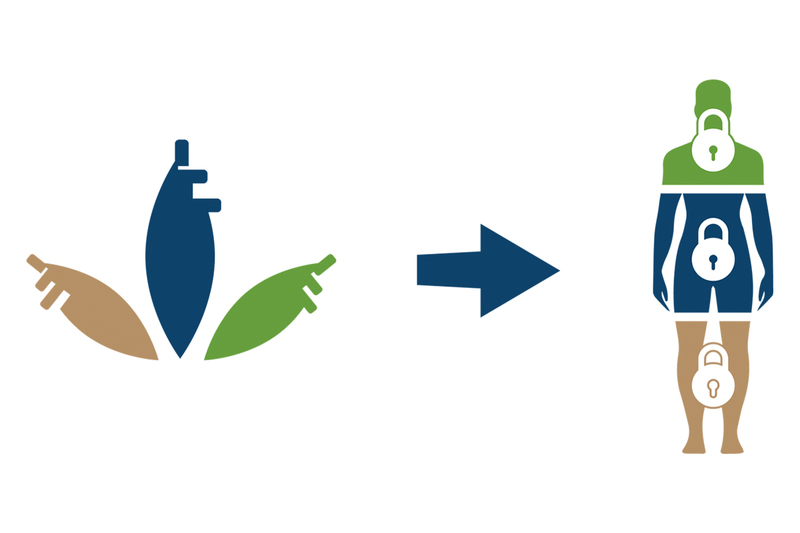 This breakdown process is a critical variable to consider when ingesting chemicals. In fact, some pharmaceuticals specifically take this breakdown system into account by creating drugs that inhibit the breakdown of endogenous chemicals so that they can remain effective longer and produce “more” of their intended outcome. For example, SSRIs (Selective Serotonin Reuptake Inhibitors; the leading anti-depressant) delay the breakdown of serotonin (a positive mood-regulating neurotransmitter) in the synapse (the small space that allows transmission of neurotransmitters across neurons) so that an individual’s serotonin (which is usually not as present in depressed populations) can continue to operate, yielding a “happier” person. Similarly, the sluggish breakdown of THC will result in a user feeling “higher” for longer. Unfortunately, this also creates drowsiness in users with the variant for up to three days after initial consumption. Naturally, insights into which variants on the CYPC9 and CYP2C19 an individual has can help guide dosage and titration models as well identify which product categories to choose. For example, a consumer that is pre-disposed to sub-optimal breakdown would be wise to choose vape products over edible since inhalation bypasses what is known as first-pass metabolism, which occurs in the liver after during digestion of edible. Such information into drug metabolism has fueled the burgeoning field of pharmacogenetics, where medical doctors take a personalized approach to pharmaceutical medication based on the patient’s DNA. The effectiveness of cannabis as a treatment option for a wide variety of disorders and diseases, coupled with the reliability of DNA in determining an individual’s likelihood of developing a particular condition, provides an access point for preventative precision cannabis medicine, customized as a function of the consumer’s genetic predispositions. Taking into account the tens of thousands of cannabis products and strains available on the legal market, there exist a plethora of options with varying cannabinoid and terpene ratios — the most critical variables that determine the different effects and medical benefits of cannabis. Such a range of products, coupled with an understanding of one’s DNA, allows for a personalized product selection by connecting the dots across different research findings. These biomarkers can create even more precise recommendations that go much further than just warning an individual that they should shy away from edibles. For example, a host of genes can predispose someone to developing Alzheimer’s and dementia. On the other side of the equation, studies have shown that pinene (a terpene found in cannabis and other plants like pine trees) has a neuroprotective effect that specifically enhances memory. Cannabis users with such predispositions wanting to take preventative health measures could do so by routinely choosing cannabis products high in pinene. Similar associations exist for users with a tendency to develop schizophrenia or have psychotic episodes, where low-THC, high-CBD products can provide anti-psychotic effects. Similar reasoning applies to individuals at a high-risk for cancer being able to take advantage of high-THC, anti-cancer products. Cannabis DNA tests like Strain Genie look at over 150 such biomarkers to generate personalized cannabis consumption suggestions. As regulation allows for scientists to gain access to cannabis for research studies, more insights that can help predetermine the effectiveness of cannabis use at the level of an individual is certainly on the horizon. Other avenues could also provide insights as to other aspects of cannabis use as well. For example, new research from 2018 has even unveiled 35 genes that make you 11% more likely to be a cannabis consumer and revealed an interesting overlap in cannabis use with a gene (CADM2) that has been traditionally associated with risk-taking. Information such as this, combined with genes that predispose individuals for abuse could be used to guide scheduled tolerance breaks. 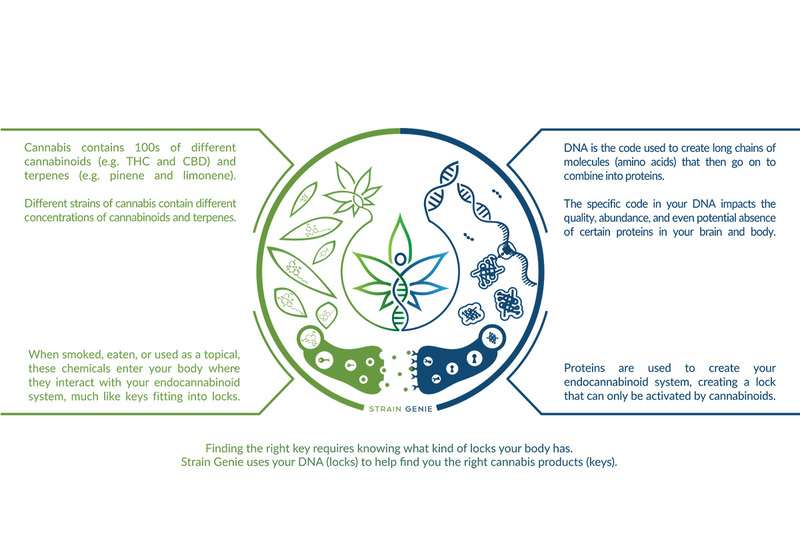 Regardless of the application, additional research into DNA, cannabinoids, and terpenes promises to refine the personalized approach to cannabis that all consumers should consider taking.